Out to Sea | A Continuous Lean. These photographs are interesting to me for a few reasons. 1. 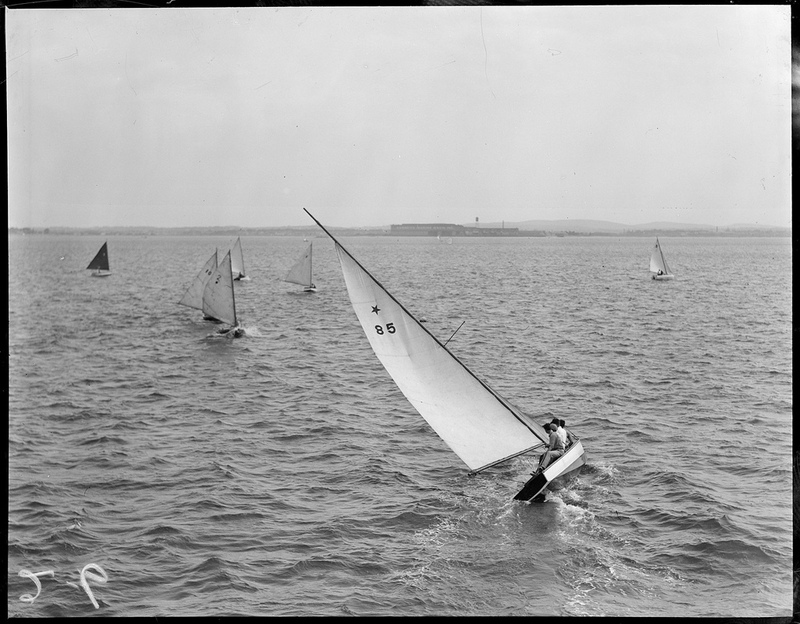 My grandfather grew up sailing skiffs like the ones you see below. 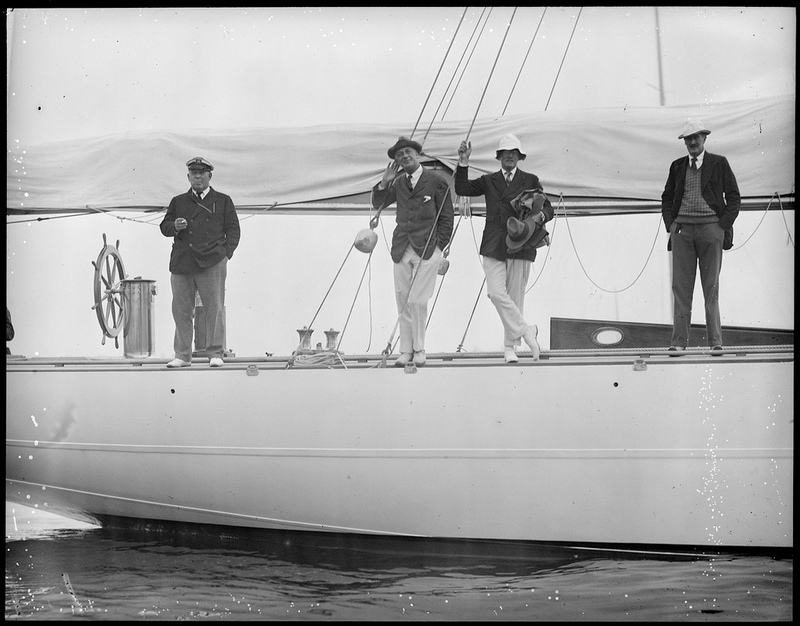 We have a bunch of old photos of him on the water near Boston. 2. It is interesting to see that a lot of the style in these photos could very easily fit right in today even though most of these photos are very old. 3. DB sport coats and sneakers. 4. Bucket hats. 5. They remind me that good things are on the horizon. 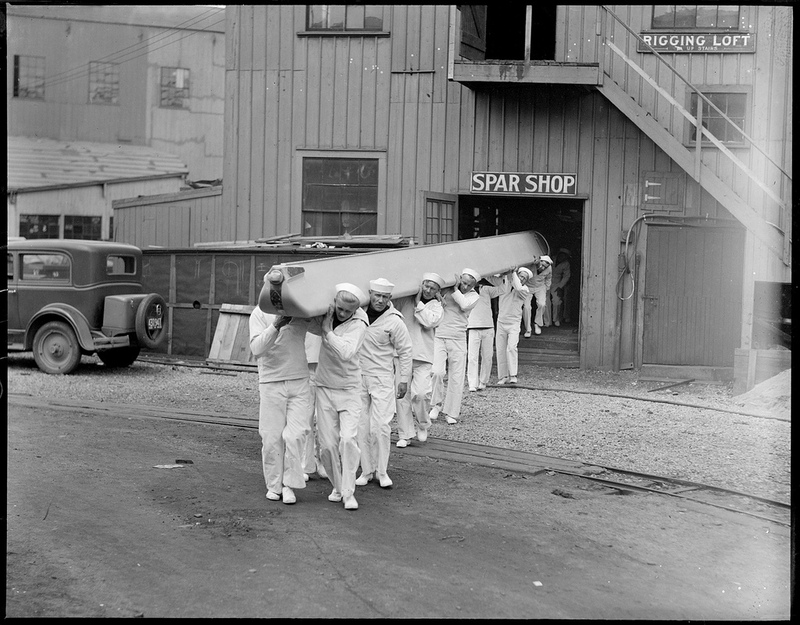 Summer’s right around the corner and right about I’d like it if I were out to sea like these gentlemen. That means, Newport and other assorted nautical adventures with cocktails. Then finally this September are the America’s Cup finals in San Francisco which is going to be amazing. I’m making a point to be there for at least one weekend’s worth of it. I was in SF this spring for work and from my client’s office you could see the tall AC boats sailing by and it was pretty astonishingly beautiful. 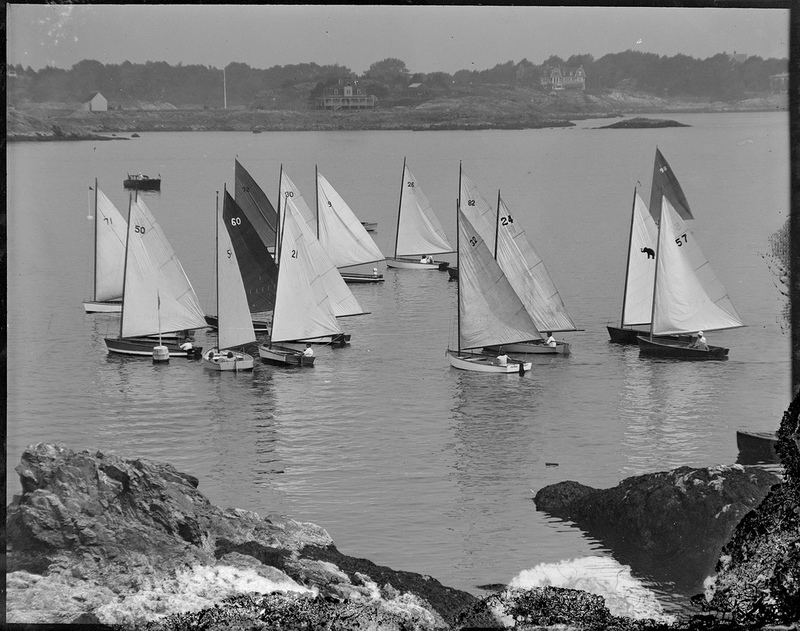 Sailboats are some of the most graceful things man has created. Not only are they beautiful, they can be a wonder way to experience wind and water. 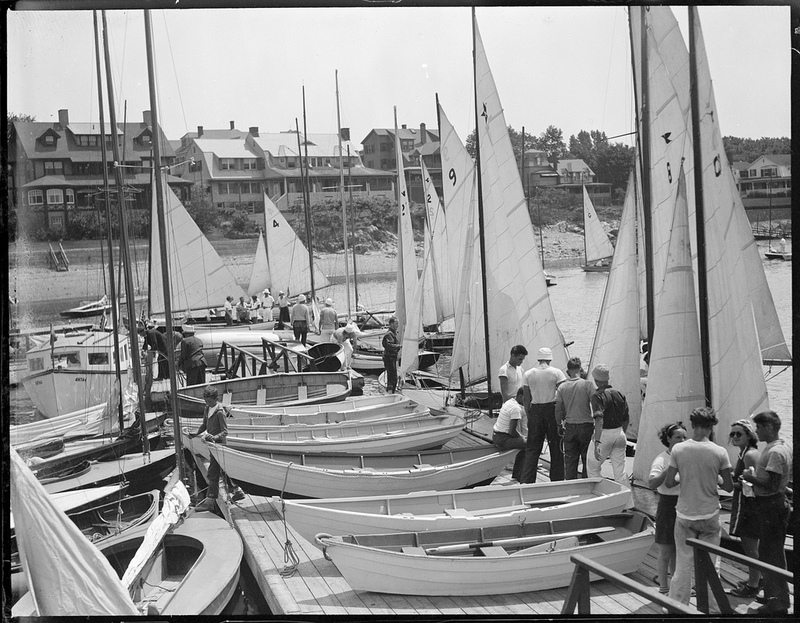 I’ve sailed since I was a kid – once a sailor, always a sailor. Nice photos. 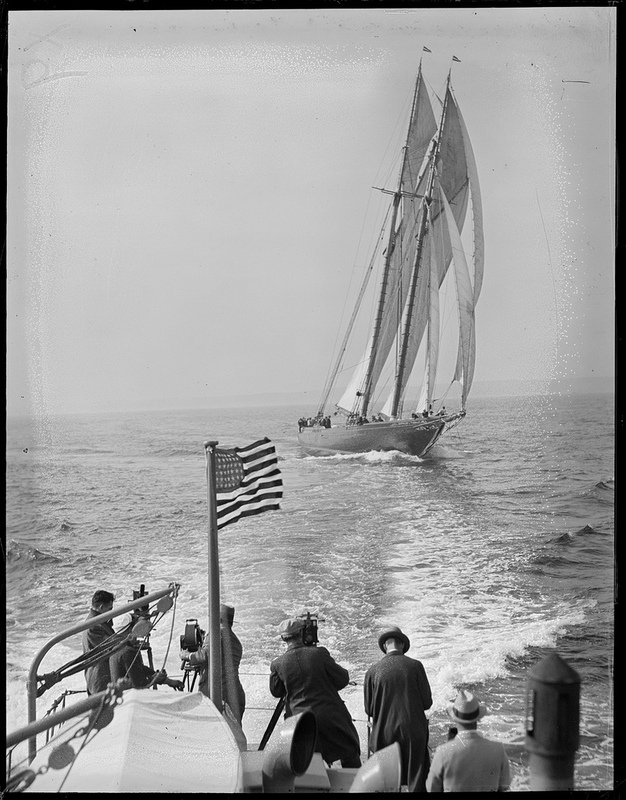 If you are interested in maritime photography or want to get even more excited about the America’s Cup – highly suggest checking out the Rosenfeld Collection either online or browse in person just off 95’s Exit 90 across the street from Mystic Seaport (check out the museum too!). Their photos of 12 meters or the “Once in a Lifetime” shot are just awe-inspiring photos. 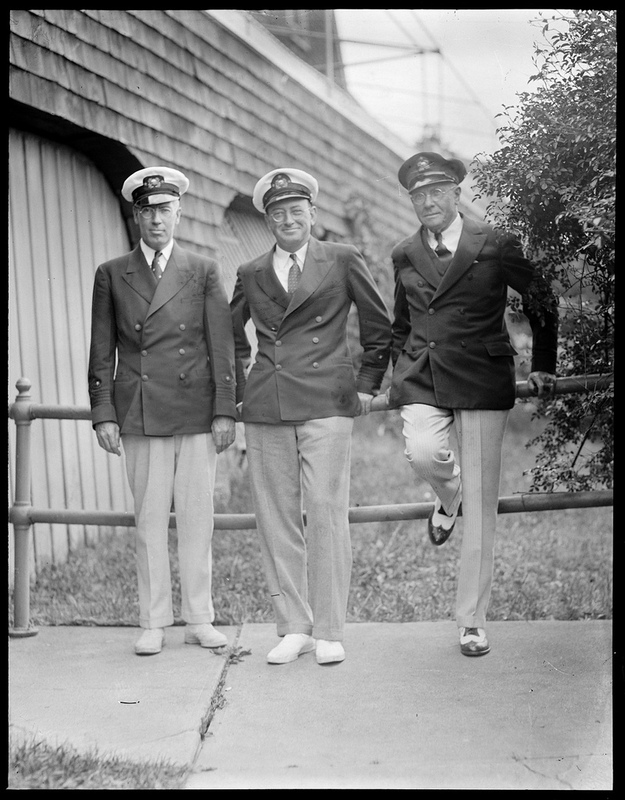 Morris Rosenfeld and his sons perfected the art of capturing the powerful action and grace of American yachts. No digital, no hulls plastered in corporate logos – just pure beauty. “Double-breasted jackets?” If there was ever a time for “blazers” I’d guess this was it. Great stuff. And there are still a couple of photography stores with that same green tile and shelf backing, and Kodak Yellow to contrast. Thx. That said, these pictures are great! Is it better or worse than the trillions of dollars the U.S. wasted in Iraq? Or the TARP funds or the bailout of AIG et al.? So SF has a shortfall of $8-10MM- there are many ways of covering that paltry sum. Good spread, Michael. Hope to get up to the City in September as well, and I’m grateful I have friends to stay with. 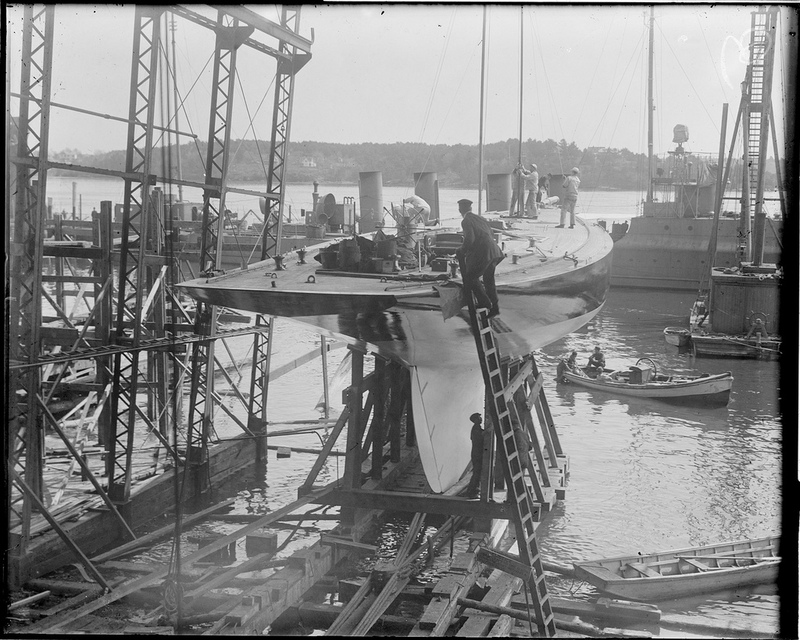 What is that dinghy with the elephant on the sail? Never seen that class before…unless it’s someone’s personal joke ha! Good grief…..I come here to enjoy the tranquility of design and MW’s deftness of commentary. Can’t some people withhold their political fumings until they enter an appropriate sphere? It’s like I’ve heard said, for the man with only a hammer, every problem is a nail……..For the politically disgruntled, every conversation is a chance to share their disdain. But there I go being guilty of the same thing. I apologize, and love the pictures. Good piece, MW. Sharp photos. May I ask where you found them? Library of Congress? Stunning photos. Do you know what type of camera they were taken with? I’m a big fan of old cameras and would love for my photos to turn out as crisp and beautiful as these.